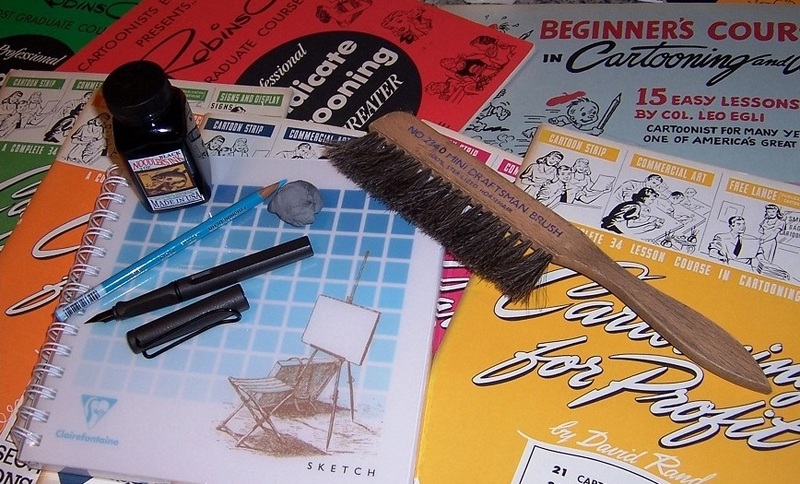 The David Wasting Paper Young Cartoonist Contest was created to pique the interest of junior artists who aspire to one day make their career in the captivating world that is cartooning. Although not a professional cartoonist by trade, I have always had a passion for all things creative. This contest was established in 2012 to honor the memory of my mother, Patricia Petrone, who passed away suddenly in May. My mother had a sincere appreciation for artistic talent…even the novice talents of her son…and would be very pleased that her memory lives on through this inspiring event. DEADLINE: All required materials must be received no later than 11:59 pm (EST) on January 31, 2013. Restrictions: This contest is restricted to US residents only, between the ages of 13 to 16. Only one submission per child will be accepted. Material submitted will not be returned, and by participating you authorize David Wasting Paper to reprint your submission for promotional purposes. Failure to include all required material will result in disqualification. All decisions are final. Finally, a huge thank you to my wife Patti who’s love and encouragement has been instrumental in getting this contest off the ground. This is a great idea, David, and a great thing! Your mom would be so proud. God Bless her! Unfortunately, there were no entries. Really surprised me as it did get a lot of publicity and there were a ton of prizes being offered. Live and learn. Wow, that's sad that there were no entries. We only just found out about it, and we live in Australia. I have an almost 11 year old who would have loved to enter in two years time! The prizes sounded fantastic! Yes Janelle, it is very sad. I was planning on making this an annual contest.